French President Emmanuel Macron is set to unveil his long-awaited plans to help overcome five months of yellow vest protests which have damaged his presidency. French President Emmanuel Macron is set to unveil his long-awaited plans to help overcome five months of yellow vest protests which have damaged his presidency. Mr Macron will make a speech at the Elysee presidential palace based on three months of national debate aimed at addressing the protesters’ concerns through town hall meetings and collecting complaints online. French President Emmanuel Macron hopes to address the concerns (Thibault Camus/AP)He is expected to respond to concerns over sinking purchasing power with tax cuts for lower-income households and measures to boost pensions and help single parents. 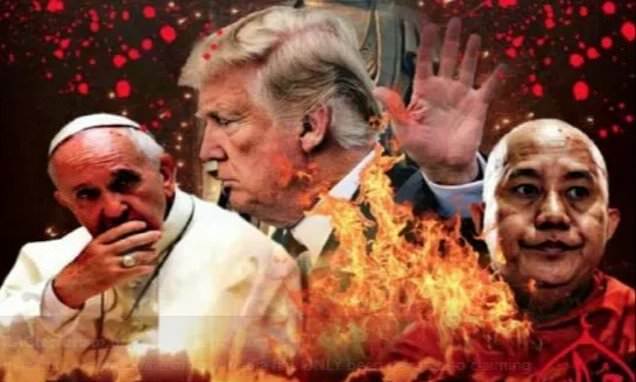 Mr Macron initially planned to make his announcements last week, but postponed them when the fire at Notre Dame Cathedral broke out. Dame Emma Thompson has defended flying from Los Angeles to London to join climate change protests, saying: “It’s very difficult to do my job without occasionally flying.”Dame Emma Thompson has defended flying from Los Angeles to London to join climate change protests, saying: “It’s very difficult to do my job without occasionally flying.”Dame Emma Thompson: We’re all going to have to fly lessThe actress was last week criticised for hypocrisy after taking the 5,400 mile journey to join Extinction Rebellion (XR) demonstrators in the capital. Dame Emma told BBC radio 4’s Today programme on Thursday that she understood the criticism, but said she offsets her carbon footprint by planting trees. Dame Emma Thompson addresses Extinction Rebellion demonstrators (Jonathan Brady/PA)She said: “It’s very difficult to do my job without occasionally flying, although I do fly a lot less than I did. We’re all going to have to fly less. “The future of this planet is at stake and that’s perhaps more important than our own reputations.”Asked if she is tempted to go into politics, Dame Emma replied: “Oh god no”. Manchester City and Liverpool ’s thrilling battle for Premier League supremacy has unsurprisingly led to the teams dominating the Professional Footballers’ Association top-flight Team of the Year 2019. Manchester City and Liverpool’s thrilling battle for Premier League supremacy has unsurprisingly led to the teams dominating the Professional Footballers’ Association top-flight Team of the Year 2019. England forward Raheem Sterling is among six City representatives while fellow Britons Trent Alexander-Arnold and Andy Robertson are two of four inclusions from Liverpool. The front trio are all in contention for the Players’ Player award – as is Bernardo Silva, who has earned rave reviews for his performances in City’s midfield. PFA Premier League Team of the Year 2019: Ederson (Manchester City), Trent Alexander-Arnold (Liverpool), Virgil Van Dijk (Liverpool), Aymeric Laporte (Manchester City), Andy Robertson (Liverpool), Paul Pogba (Manchester United), Bernardo Silva (Manchester City), Fernandinho (Manchester City), Sergio Aguero (Manchester City), Raheem Sterling (Manchester City), Sadio Mane (Liverpool). Working Abroad Q&A: Dubliner Kevin McLoughlin lives in Hong Kong, where he works as a curator at the Hong Kong University Museum and Art GalleryWhen did you leave Ireland? Right now, I’m working as a curator at the Hong Kong University Museum and Art Gallery. Having moved to Hong Kong from Edinburgh, the biggest challenge right now is dealing with the combination of heat and humidity. Accommodation here is certainly the biggest financial challenge, although the size of apartments on Hong Kong Island and Kowloon tends towards the more (read very) compact. As I’ve only just arrived in Hong Kong I’m still finding my bearings, so I haven’t met anyone from home yet. The second biggest emperor penguin breeding grounds in Antarctica has been barren for three years, a new study has found. Usually 15,000 to 24,000 breeding pairs of emperor penguins flock yearly to a breeding site at Halley Bay, considered a safe place that should stay cold this century despite global warming. The breeding pair population has increased significantly at a nearby breeding ground, but the study's author said it is nowhere near the amount missing at Halley Bay. Normally about 8 per cent of the world's emperor penguin population breeds at Halley Bay, Trathan added. In 2016 and 2017, there was no breeding in Halley Bay and last year there was just a bit, the study found. Scientists have raised concerns over Antarctica’s second biggest breeding ground for emperor penguins, where virtually nothing has hatched for the past three years. 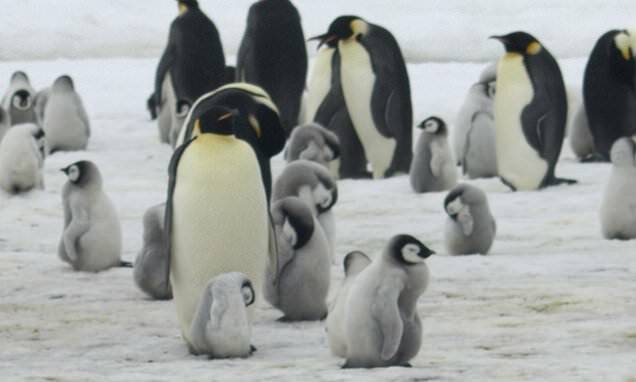 Scientists have raised concerns over Antarctica’s second biggest breeding ground for emperor penguins, where virtually nothing has hatched for the past three years. The breeding pair population has increased significantly at a nearby breeding ground, but the study’s author said it is nowhere near the amount missing at Halley Bay. Black-and-white with yellow ears, emperor penguins are the largest penguin species, weighing up to 40 kilograms and living about 20 years. This 2010 photo provided by the British Antarctic Survey shows emperor penguins and chicks at Antarctica’s Halley Bay. 'I get glimmers of my dad, but they're only glimmers' - Daughter who returned home from Canada to care for her dad on the 'long goodbye'Dementia is an umbrella term used to describe a range of conditions which cause changes and damage to the brain. Vascular dementia, dementia with Lewy bodies and Frontotemporal dementia are other causes. She admits there are hard days, days when she has to 'vent' to her siblings. A trip to the shops, the cemetery to visit the grave of his wife or to the social events organised by the Alzheimer Society, give Brian a sense of purpose. Follow ASI on Facebook: facebook.com/TheAlzheimerSocietyofIreland; Twitter @alzheimerSocIre, #TeaDay2019 #TimeForTea; Instagram: @alzheimersocirlACCORDING to the Alzheimer Society of Ireland, often the early signs of dementia may be difficult to detect. Canadian model Stefanie Sherk has tragically passed away at the age of just 37. 'It is our sincerest hope that our beautiful Stefanie, my angel and love of my life, will rest in eternal peace,' he concluded. ❤️'Actor Bryan Craig penned: 'This will be in my prayers Demian, I’m so sorry.' Grand Hotel actress Justina Adorno wrote: 'I’m so sorry, you’re in my thoughts and I’m sending all the love to you and your families.' She’s not only a fantastic artist - I respect that a lot - but she’s a beautiful, beautiful human being and so smart. In Our Time, like libraries and hot cross buns: things that are so good for you and you can’t believe they aren’t more expensive. It’s a radio programme on BBC Radio 4 that’s been running for 21 years and also a podcast. Maybe it’s better to describe it by what it’s not. If they’re discussing Newton they haven’t invited on some wingnut to argue that gravity is just a thing snowflakes believe in. Neither did I.I thought teeth were just, you know, teeth. ISIS followers have celebrated the Sri Lanka terror attack with a propaganda poster promising to make the 'enemies of religion' bleed 'rivers of unclean blood'. Sri Lankan authorities say the men were part of the National Tawheed Jamaat group but splintered off as their views grew more extreme. They were motivated by the belief that Islam should be the only religious group in Sri Lanka and all other religions should be 'eliminated', ministers have said. Elswhere on Thursday, Sri Lanka has banned drones and unmanned aircraft as authorities continue controlled detonations of suspicious items as the security situation in the country remained tense. Also Thursday Sri Lankan authorities detonated a suspicious item in a garbage dump in Pugoda, about 22 miles east of Colombo. No action has been taken against tech companies in Ireland despite 2,000 complaints being made in the last year. Ireland is the designated lead regulator in Europe for new data privacy guidelines that came into effect last May. The Data Protection Commission is currently carrying out 16 investigations - seven of which involve Facebook. Politico has published an article criticising Ireland for being too lenient on big tech companies because they provide thousands of jobs here. He said: "For the most part Irish people, academics, researchers, data protection experts say this is also their experience - lax enforcement. A 24-year-old woman has been hospitalised after being involved in a collision with a lorry in Dublin city centre. The cyclist was seriously injured on Dorset Street at the junction of Eccles Street just before 9:30pm last night. She was taken to the Mater Hospital with injuries that aren ot believed to be life-threatening. The road has reopened and Gardaí are investigating. Kelly Bensimon looked to be having an amazing week as she was captured out in New York City on Wednesday with a smile spread wide across her face. The Real Housewives Of New York City star, 50, looked luminous in a red dress for the outing. She threw up her hand in a wave while sporting the stylish springtime outfit. Red hot: Kelly Bensimon, 50, looked to be having an amazing week as she was captured out in New York City on Wednesday with a smile spread wide across her faceThe socialite's long red dress was ruffled down its' skirt. Matching the bracelets were her gold hoop earrings and gold brimmed aviator Ray Bans.